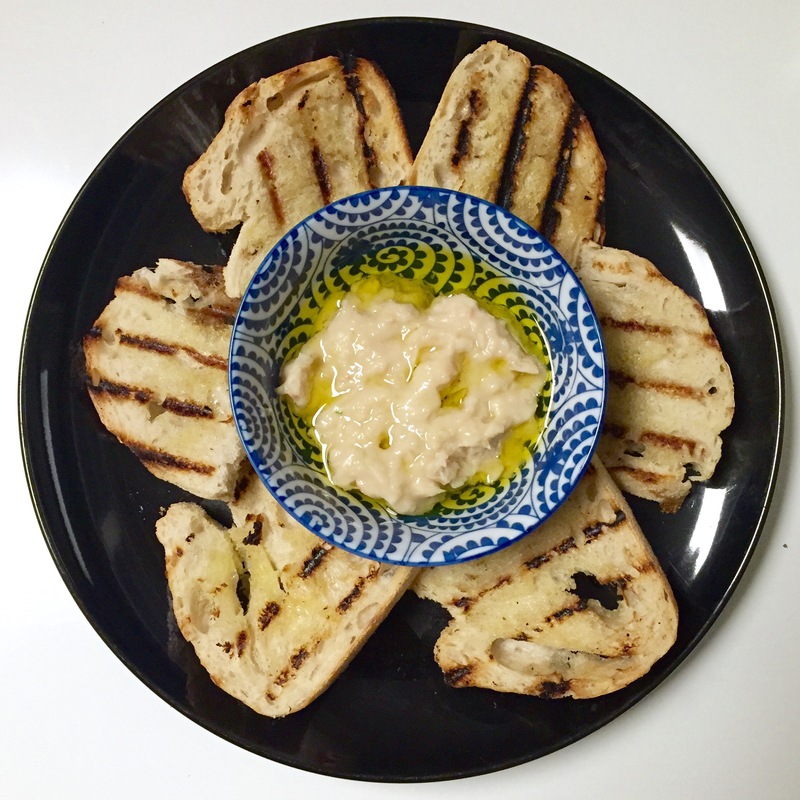 Never Spread Too Thin: Cannellini Bean Paste with Crostini – Pao Says, "Open Wide!" I had some leftover French bread after making croutons for my Caesar salad, so I sliced it up, brushed it with olive oil, and grilled it… Nothing goes with a solid spread like toasty Crostini. Drain cannellini beans and place them in a food processor with the garlic, salt, and a drizzle of olive oil. Pulse the processor until paste is unified. Place in a bowl and drizzle 1/4 cup olive oil over the top. Ready to serve with crostini or with crackers. * I like to finely chop the garlic before adding it t the processor to ensure I don’t get any big chunks in the paste.